Bodegas Quo was founded in 1956 and the winemaker is Roberto Perez Martinez. The vineyards are in DO Campo De Borja, in the province of Zaragoza. Campo de Borja is a transitional area among the mountains of the Sistema Ibérico in the Ebro Valley. The setting is unique, with the impressive mountains of the Moncayo National Park in the background. The Romans built the area's hydraulic system almost two thousand years ago and were the first to plant vines. The vineyards have a continental climate influenced by the Atlantic Ocean in winter and by the Mediterranean in summer. The soil is brown-calcareous and moderately rocky with good drainage. 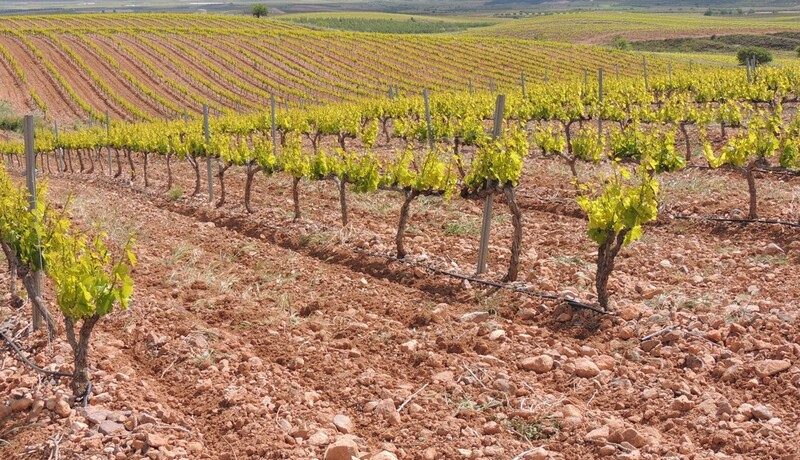 In the vineyards closer to the Moncayo Mountains, the soil is clay-ferrous and rocky. The vines are subject to extreme conditions. They are planted at 1,000-2,000 feet, with wide temperature fluctuations between day and night and season to season. Rainfall is rare, with yearly averages between 350 mm and 450 mm (13-17 inches). The vineyards are organically and dry farmed and no chemicals are used (pesticides, fertilizers, additives, etc). At harvest, the grapes are handpicked. Spontaneous fermentation takes place in glass lined cement tanks with native yeasts. No winemaking additives are used and the wines are very minimally fined or filtered. The sulfite levels are ≤62 mg/L.